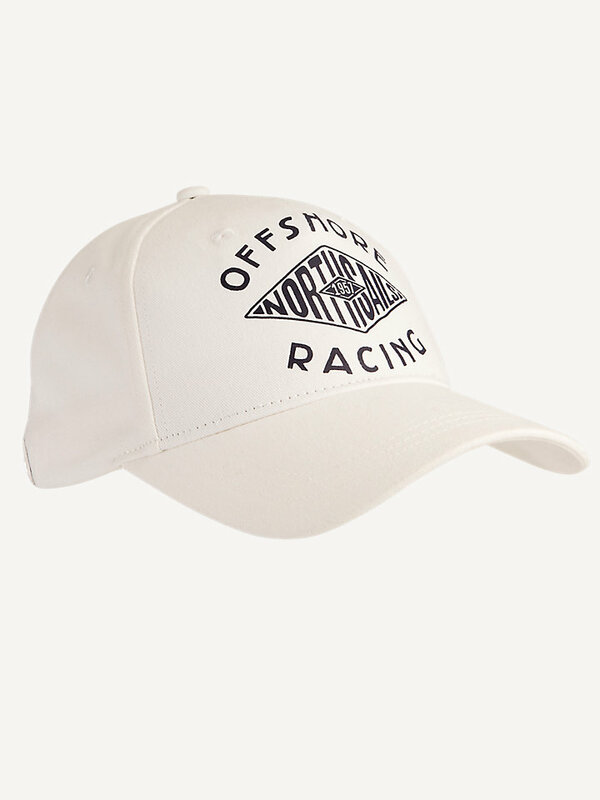 Baseball graphic hat. Available in white and navy. 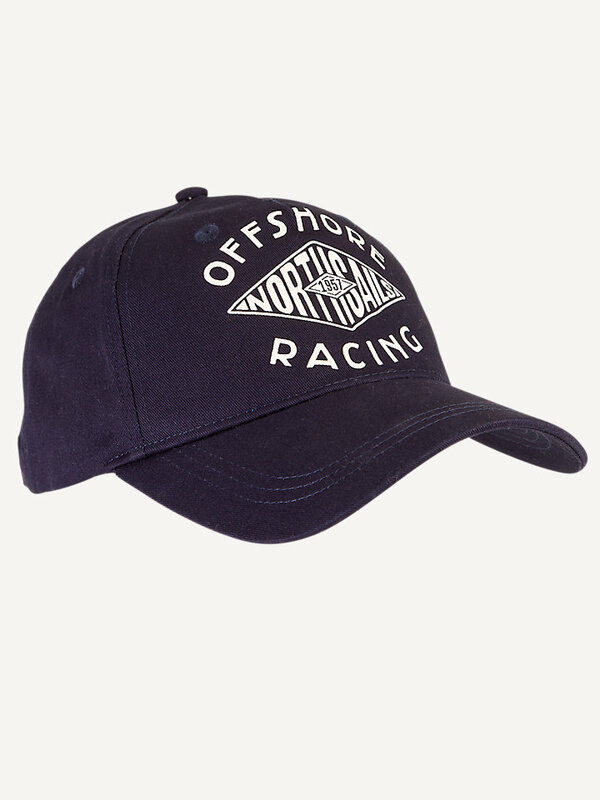 Offshore Racing print on front: var 0101 print in black and Var 0800 print in white. Embroidery eyelets on top in thick shiny thread. Adjusted at back with metal buckle. 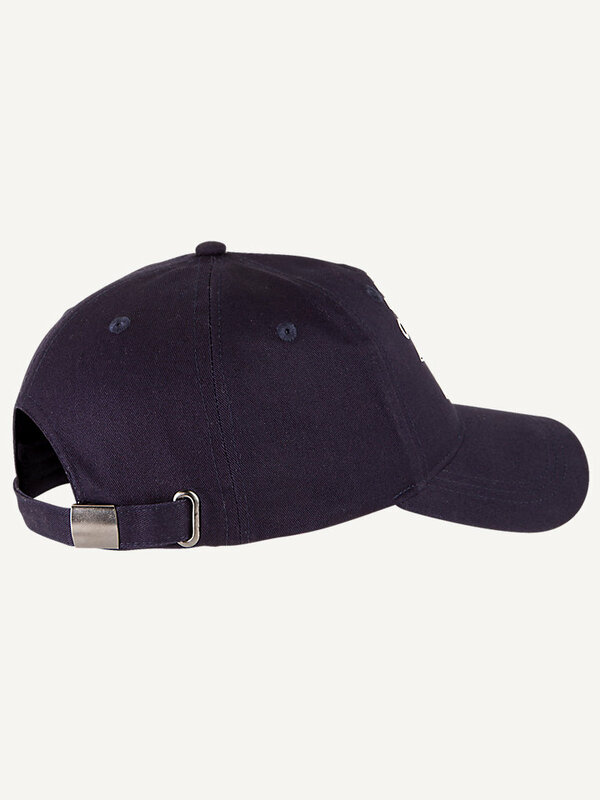 This 100% cotton baseball hat will protect you on a sunny day out. 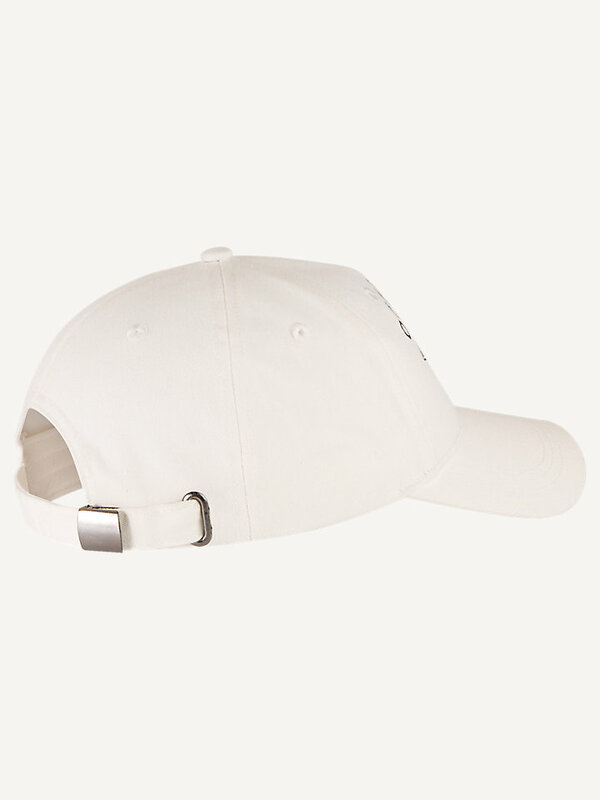 Adjustable to your liking, thanks to the metal buckle at the back of the hat.